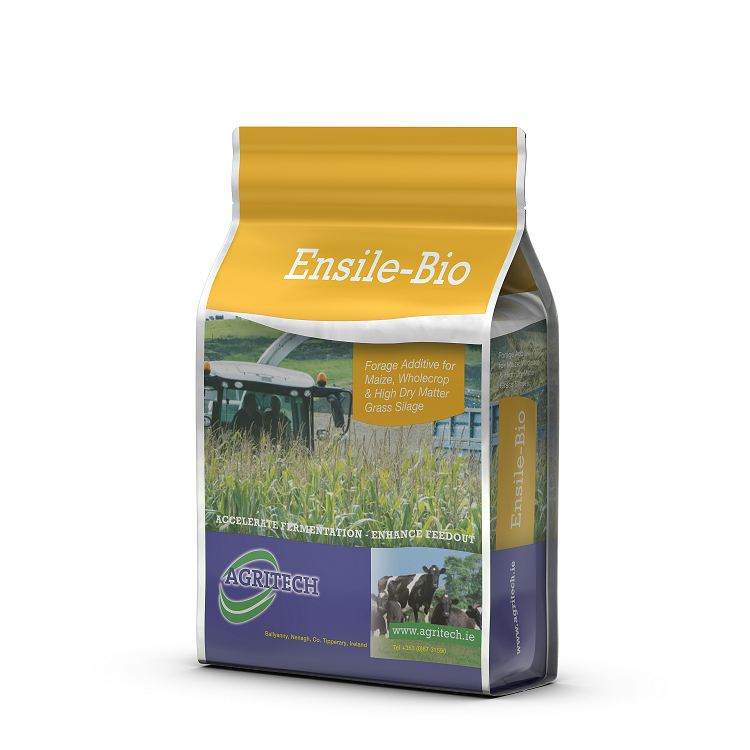 Ensile-Bio is a biological preservative for forage maize, crimped grain, wholecrop and high dry matter grass silage. It has been developed to inhibit spoilage organisms to produce a cool silage which is stable and highly palatable, leading to maximum production from the forage at feedout. Ensile-Bio is an easy to use product available as granular powder, or in sachets for liquid application. It contains two strains of heterofermentative bacteria that works to inhibit spoilage organisms. Increases clamp stability by around 3 days. To purchase our Ensile-Bio forage additive in Ireland, contact your local distributor.